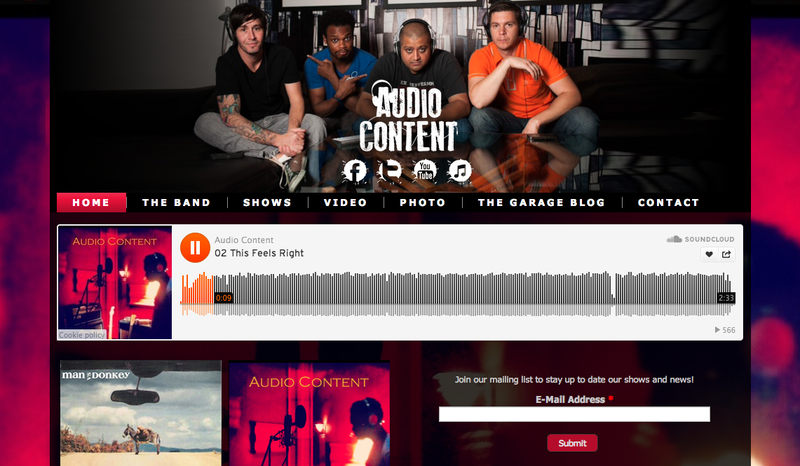 Built for Audio Content, an alternative rock band out of Chicago, this site naturally turned out to be a lot of fun to work on. We helped these rockers come up with a logo, branding guidelines, and a full website. Not only did we do their business cards, fliers &album art, but even got to further brand their identity on some custom drumheads and gear.